The turn-of-the century building has been newly renovated to create a fresh and unique atmosphere for Hullam Hostel's guests. We have 2-, 3-, 4- and 6-bed dorms and private rooms. Each room has been decorated and painted differently to make a unique environment. Most rooms have their own common shower and bathroom area, where bright tiles make bathing an experience in itself. Our location is very central to the travellers as well. 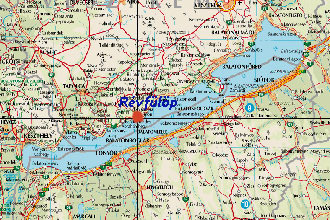 Rev means ferry in Hungarian and it is the crossing point for access to South side towns like Fonyod and Siofok.You can reach Croatia, Slovenia or Italy by direct train from there. Also, the annual national event, the Cross Balaton Swim (5.2 km) is hosted in this town every summer. Thousands of people, and even from other continents, come here to swim across. We are in the middle of the North side of the lake with easy access to Tihany or Badacsony and the Kali Basin (in the Uplands National Park). There are many wine areas nearby, too. This makes for an adventure-filled stay with a limitless amount of things to do and see including hiking, sight-seeing, swimming, horse riding, wine-tasting, suntanning and breath-taking views. We operate our Revfulop facility from March to mid-October, and we are 45 km from the recently-opened Balaton Airport located in Sarmellek, and supported by Ryanair . 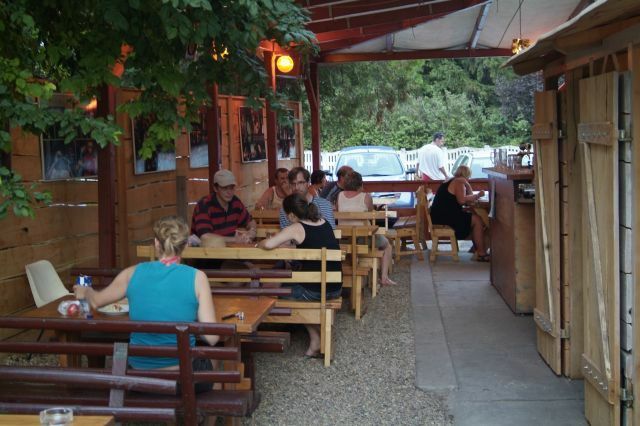 Hostel's premises as well as a bicycle rental area to facilitate sight-seeing tours, group activities and excursions.